Pictures from the U.P. | RV There Yet? 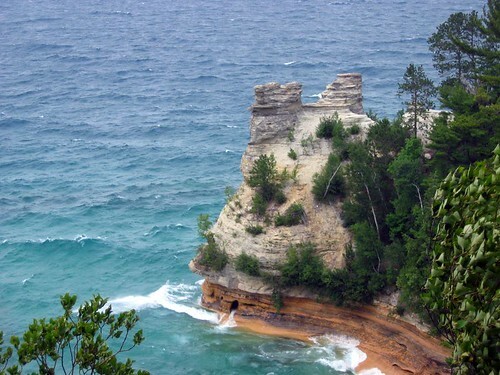 That’s the Upper Peninsula of Michigan. I know I’ve written about it, but I wanted to share some of the pictures. We had a great mini-vacation up north, and were very glad we were able to make the trip! 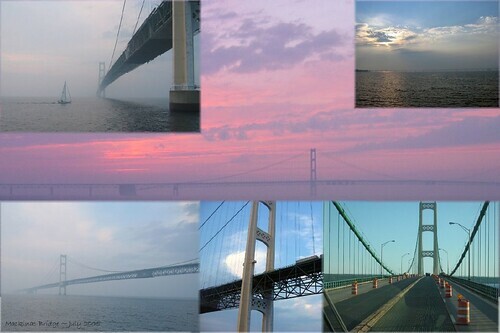 Here is a composite picture of the Mackinac Bridge. 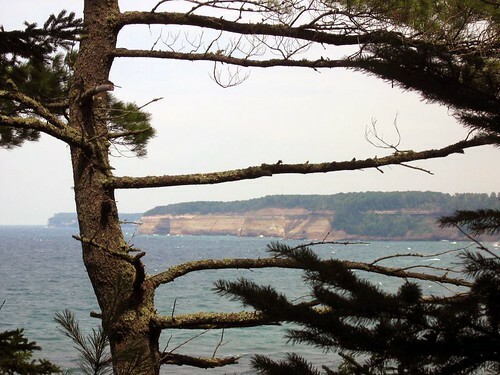 The Pictured Rocks National Seashore was quite spectacular – check it out! 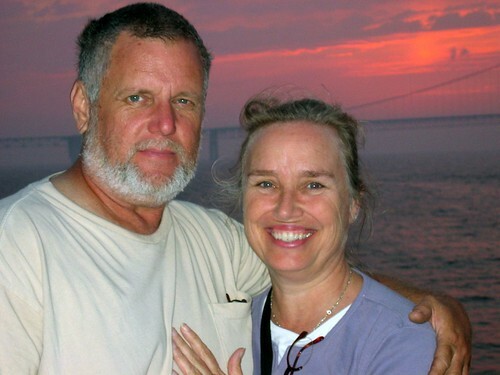 And here are Gary and I on the sunset Vesper Cruise, with the Mackinac Bridge behind us. If you’d like to see more photos of this beautiful area, check out the “flickr” slide show on the side bar!